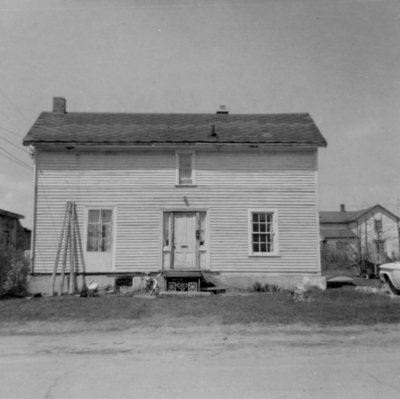 A black and white photograph of 414 Mary Street East. This house was built circa 1850 and demolished in 1977. 414 Mary Street East, August 1970, Brian Winter. Whitby Archives A2013_004_009.